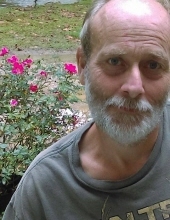 Robert Lee Miller, age 53, of Gunlock, KY, died Friday, September 21, 2018, at Gunlock, KY. He was born in Ary, KY on April 14, 1965 to Willard Miller and Mable Bailey Miller. Funeral services for Robert Lee Miller will be held at the Hindman Funeral Services Chapel, Monday, September 24, 2018 at 11:00AM with Randall Short, Lewis Stacy, Richard Rife, Roger Bolen and Others officiating. Burial will follow at the Compton Cemetery at Elmrock, KY. Visitation will be held at the Chapel, Sunday evening after 6PM with additional services at 7PM. "Email Address" would like to share the life celebration of Robert Lee Miller. Click on the "link" to go to share a favorite memory or leave a condolence message for the family.